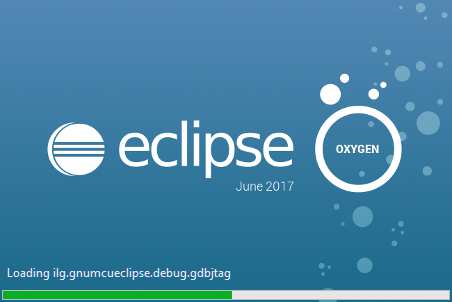 The problem happens to me for multiple versions of Eclipse, including Oxygen (4.7). What I have found out is that it is because of some views open in the workspace, and they somehow might block the Eclipse startup. 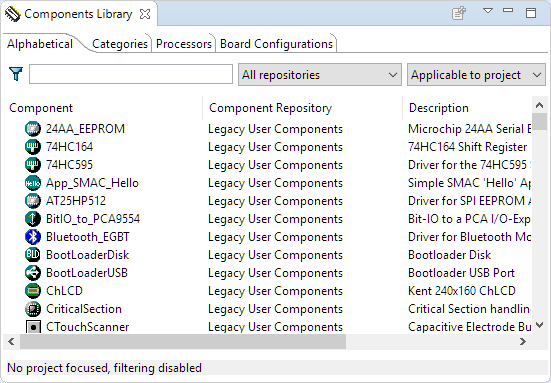 For example the Processor Expert ‘Component Repository’ view can cause this in Eclipse Neon (4.6) or Oxygen (4.7). So the usual workaround was to open that workspace with another instance of Eclipse (not having that view), closing that view in the Eclipse Perspective and then I was able to load that workspace again. Knowing that this has something to do with the perspectives and views, and thanks to a tip (thank you, Livio! ), I finally have found the solution to unblock such a workspace :-). This file stores the perspective window arrangements. So after deleting that file, the IDE windows are reset and I’m now able to load that workspace again :-). I hope this tip is useful for everyone having such an occasional problem. This entry was posted in Eclipse, Tips & Tricks and tagged Eclipse, perspective, Processor Expert, software, technology, Tips&Tricks, tool chains, workbench, workbench.xmi, Workspace by Erich Styger. Bookmark the permalink. Thanks Erich, I wish I’d read this about a year ago! And I wish I would have found a solution earlier too! It just happened to me again today. I switched from my laptop back to my desktop – and the workspace is kept in sync because they are both in dropbox. So I open KDS on my desktop and it shows no projects in my workspace – there should have been about 6. Tried deleting the file you mentioned, but that isn’t the problem. I tried to start a new workspace and import my existing project, which looks promising, but then I have a problem with getting the debugger up and running – segger seems to give a limited time to enter the processor type (and you have to search thousands). Still seems like I gave it the right one and it doesn’t want to work. sharing a workspace between different machines is a very, very, very bad idea. I cannot tell how bad this is (beside of DropBox a bad thing too). The thing is that the .metadata is specific to your machine, and cannot be shared between machines. Bad things will happen (like the one you describe). You can share the projects, but never the .metadata in it. Thank you, very helpfull tip!! That helped me also, thank you! Glad to read that you have found the solution. Thanks, It worked for me!! !